Buy 1 - 3 for $33.89 ea. Buy 4+ for $27.89 ea. 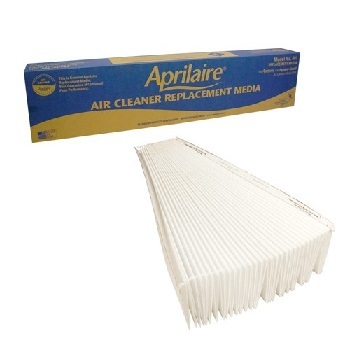 Tackle up to 99% of pollen, mold, spores, dust and other airborne allergens inside your home with the Aprilaire 401, 2400 replacement whole house air filter media. How is that possible? Patented SelfSeal technology combines with the electrostatically charged MERV 10 rated filter media to cut air gaps for more effective particle capture rate and less pressure drops. 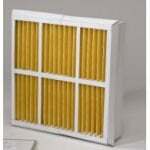 To say it simply, air coming out the other side of the filter is cleaner and it stays that way much longer. Clean air means better breathing. For those with allergies or other respiratory illnesses this should come as a relief. We spend much of our time indoors so keeping the air we breathe pollution free is big step to healthier lungs and body. Please note that you can also upgrade to the Aprilaire 413 Filter Replacement, which is typically used in the Aprilaire 2410 and 4400 Air Cleaners, provided you install the Spacegard Aprilaire 2400 Upgrade Kit. The Aprilaire 413 Air Filter boasts a MERV 13 rating (compared to the MERV 10 rating of the Aprilaire 401) and removes more contaminants. 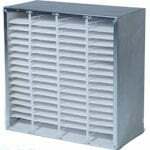 This FiltersFast Brand Aprilaire SpaceGard 2400 16x27x6 compatible air filter can be used as an upgrade for the Aprilaire Space Gard 2400 AC filters. With a MERV 11 rating, our compatible air conditioning filter is more efficient and even easier to install than the OEM pop up or collapsible a/c filters. Unlike the OEM pop up or collapsible a/c filters, these FiltersFast filters do not require the use of spacers, and are easier to replace by simply sliding it into the existing Aprilaire frame rails. 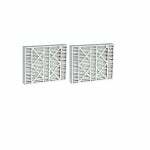 Please Note: FiltersFast also carries MERV 8 and MERV 13 filters that are compatible replacements to the Aprilaire SpaceGard 2400 16x27x6. The Filters Fast Compatible 16x27x6 Air Filter features a MERV 11 rating, which is an upgrade in efficiency from the Merv 8 Aprilaire Space-Gard 2400 Filter. 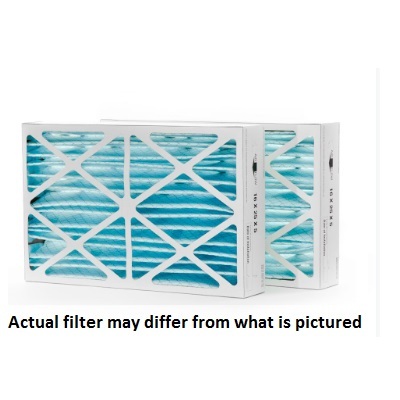 The Merv 11 rating also means this filter effectively reduces pollen, dust, pet dander, mold spores, dust mites and other allergens from your indoor air. Removing these airborne particles can help improve allergies and alleviate sinus irritation that can cause watery eyes, itchy throat, coughing, and sneezing. Aside from the health benefits, having a Filters Fast air conditioner filter in your home will also extend the life of your heating and cooling system by making it work more efficiently. The FFC162766SG comes pre-assembled all in one piece. Actual size of this air filter measures 15 3/8 X 26 7/8 X 5 15/16. Please ensure this filter will fit your application before ordering.